AS THE MAJORITY OF OUR LEGO IS PRE-OWNED, OUR LEGO GRADING SYSTEM IS LEGO Sets: See item Title. THE PIECES MAY HAVE SCRATCHES, TEETH MARKS, SLIGHT DISCOLORATION OR NOT BE AS SHINY AS THEY ONCE WERE, BUT UNLESS OTHERWISE STATED THEY WILL NOT BE BROKEN AND THE PIECES WILL STILL FIT TOGETHER. LEGO Set Number 7741. Lego City Police Helicopter with Accessories. Police Helicopter. Three Small White Triangular Pieces have Small Cracks (Two from the Set and One from the Spares) This Doesn't Affect the Build or Use of the Model. THIS LOT CONSISTS OF LEGO SETS 800-1 Gear Set with Motor AND 801-1 Gear Set AS PER TITLE. AS THE MAJORITY OF OUR LEGO IS PRE-OWNED, OUR LEGO GRADING SYSTEM IS THEY MAY HAVE SCRATCHES, TEETH MARKS, SLIGHT DISCOLORATION OR NOT BE AS SHINY AS THEY ONCE WERE, BUT UNLESS OTHERWISE STATED THEY WILL NOT BE BROKEN AND THE PIECES WILL STILL FIT TOGETHER. Capture the magic of the festive season with this colourful LEGO interpretation of the famous nutcracker, featuring a cool beard and red uniform with golden detailing. LEGO PART 3867. LEGO FLAT BUILDING BASEPLATE - 16 x 16 STUD. 1 BASEPLATE SUPPLIED. All our genuine Lego parts are in good used condition. COLOUR -TRADITIONAL GREEN. IN GREY BIEGE BLUE REDAND GREEN. LEGO DUPLO BASE BOARDS. FOR SALE HERE ARE 9. For ages 7 , with 187 lego pieces. Includes a minifigure. Features a garage with 2 opening doors, plus a garden area with tools, buildable lawnmower, assorted flower elements. Please note, pencils are NOT included. Measures approximately 12cm high, 13cm wide and 10cm deep. LEGO 70113. Legends of Chima CHI Battles. Good Condition, All pieces looked to be there. THIS LOT CONSISTS OF A LEGO SET 6186-1 Build Your Own LEGO Harbor AS PER TITLE . AS THE MAJORITY OF OUR LEGO IS PRE-OWNED, OUR LEGO GRADING SYSTEM IS Sets: Creator: Basic Set THE PIECES MAY HAVE SCRATCHES, TEETH MARKS, SLIGHT DISCOLORATION OR NOT BE AS SHINY AS THEY ONCE WERE, BUT UNLESS OTHERWISE STATED THEY WILL NOT BE BROKEN AND THE PIECES WILL STILL FIT TOGETHER. All our genuine Lego parts are in good used condition. Lego parts are in good played with condition & building instructions are easily available on line. Features chunky wheels, funnel, light, cattle bars and a driver’s cab with windows. THIS LOT CONSISTS OF A LEGO SET 5585-1 Pink Brick Box AS PER TITLE. AS THE MAJORITY OF OUR LEGO IS PRE-OWNED, OUR LEGO GRADING SYSTEM IS Sets: Creator: Basic Set THE PIECES MAY HAVE SCRATCHES, TEETH MARKS, SLIGHT DISCOLORATION OR NOT BE AS SHINY AS THEY ONCE WERE, BUT UNLESS OTHERWISE STATED THEY WILL NOT BE BROKEN AND THE PIECES WILL STILL FIT TOGETHER. THIS LOT CONSISTS OF A LEGO SET 280-1 Sloping Roof Bricks, Red, AS PER TITLE, RELEASED IN 1959. THE PIECES MAY HAVE SCRATCHES, TEETH MARKS, SLIGHT DISCOLORATION OR NOT BE AS SHINY AS THEY ONCE WERE BUT, UNLESS OTHERWISE STATED THEY WILL NOT BE BROKEN AND THE PIECES WILL STILL FIT TOGETHER. FOR SALE IS THIS LEGO DUPLO SET. LEARN TO COUNT. THIS IS FULLY COMPLETE. LEGO Sets: Classic: 011-1,022-1,033-2 & 044-1 Basic Building Set (1968) x4 SETS! AS THE MAJORITY OF OUR LEGO IS PRE-OWNED, OUR LEGO GRADING SYSTEM IS THIS LOT CONSISTS OF 4X LEGO SETS AS FOLLOWS THEY MAY HAVE SCRATCHES, TEETH MARKS, SLIGHT DISCOLORATION OR NOT BE AS SHINY AS THEY ONCE WERE, BUT UNLESS OTHERWISE STATED THEY WILL NOT BE BROKEN AND THE PIECES WILL STILL FIT TOGETHER. Perfect for spares as its not complete set but all in great condition. And still looks great. 30008 LEGO Creator Snowman Christmas Promo Set complete. Condition is Used. Dispatched with Royal Mail 2nd Class. THIS LOT CONSISTS OF A LEGO SET 533-1 Basic Set AS PER TITLE. Sets: Universal Building Set: Basic Set THE PIECES MAY HAVE SCRATCHES, TEETH MARKS, SLIGHT DISCOLORATION OR NOT BE AS SHINY AS THEY ONCE WERE BUT, UNLESS OTHERWISE STATED THEY WILL NOT BE BROKEN AND THE PIECES WILL STILL FIT TOGETHER. AS THE MAJORITY OF OUR LEGO IS PRE-OWNED, OUR LEGO GRADING SYSTEM IS THIS LOT CONSISTS OF A LEGO SET 1-7 Basic Set AS PER TITLE. THEY MAY HAVE SCRATCHES, TEETH MARKS, SLIGHT DISCOLORATION OR NOT BE AS SHINY AS THEY ONCE WERE, BUT UNLESS OTHERWISE STATED THEY WILL NOT BE BROKEN AND THE PIECES WILL STILL FIT TOGETHER. 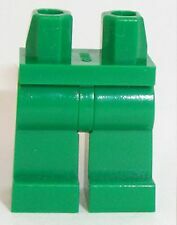 A Lego metalized brick (size 2x4) attached to a sturdy keyring. For ages 6 . The colour of the brick is like silver / chrome. 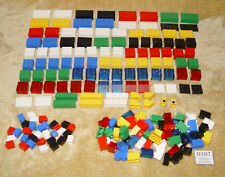 A huge collection of Lego bricks and pieces, which make up Set number 5483, called Ready Steady Build And Race. A whopping 692 parts to this set, lots of wheels and vehicle pieces, together with an instruction/Ideas Book, With eight detailed instructions for all sorts of vehicles including a fire engine, a truck, airplane, car with caravan, and a construction vehicle. Hours of fun in this set, masses of play value here. Clean tidy Lego from a smoke free home. AS THE MAJORITY OF OUR LEGO IS PRE-OWNED, OUR LEGO GRADING SYSTEM IS THIS LOT CONSISTS OF A LEGO SET 011-1 Basic Building Set AS PER TITLE. THEY MAY HAVE SCRATCHES, TEETH MARKS, SLIGHT DISCOLORATION OR NOT BE AS SHINY AS THEY ONCE WERE, BUT UNLESS OTHERWISE STATED THEY WILL NOT BE BROKEN AND THE PIECES WILL STILL FIT TOGETHER. PART 3680c01. LEGO TURNTABLE -2 x 2 STUD. All our genuine Lego parts are in good used condition. COLOUR - OLD LIGHT GREY PLATE & TOP. All our genuine Lego parts are in good used condition. SIZE - 2 x 2 STUD. 41345 L0423. Toys > Lego. Put Lady on the scales in the vet clinic, then settle her down for a rest to get better. Kingston House. United Kingdom. LEGO Creator 5762 Mini-Plane 3-in-1 (2010). Again, I have done my best to be accurate. See photos for what you will receive. Specific condition: set is complete. Instructions perfectly usable but missing back cover. LEGO 75016. Homing Spider Droid Complete. All our genuine Lego parts are in good used condition. SIZE -1 x 2 STUD. PHOTO IS FOR ILLUSTRATION PURPOSES ONLY. LEGO 60200. For sale is the Sports Car split from set 60200: Capital City. CAPTIAL SPORTS CAR.